Brief Synopsis – Retelling of the daring mission of Israel intelligence forces as they attempt to capture the notorious Nazi commander Adolf Eichmann as he hid in South America. My Take on it – This is a made for TV movie that is based on a best selling nonfiction book about how the Israeli secret service located and captured a wanted Nazi criminal. They found a way to tell this fascination and gripping story while also showing how difficult secret missions like this one can be from an emotional, physical and even from a logistical standpoint. They actually have a powerful cast (despite this being a low budget Made for Tv film) and Topol does an amazing job in the lead. Martin Balsam also does a great job in a supporting role as his boss who wrote the story and planned the events depicted here. He also serves as the narrator of the story. Te story itself is played out quite well and they found a way to keep the tension level quite high throughout most of the story which helps make the story work even better on multiple levels due to the various simultaneous events that happen here. Really liked how they try not to get into political issues here and try to show the story more from a moral standpoint. Bottom Line – Great story that shows how difficult such an important mission can be from the emotional, physical and logistical standpoints all at once. The cast (even for a Made for TV film) is quite good with Topol taking the lead along with Balsam playing his boss (and the narrator). The story works on numerous levels and they manage to keep the level of tension quite high the entire time. Recommended! Sounds good! I wasn’t familiar with this until I just read your review. 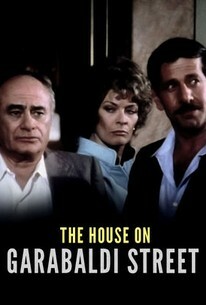 Martin Balsam is a terrific actor and I’ll watch him in anything.